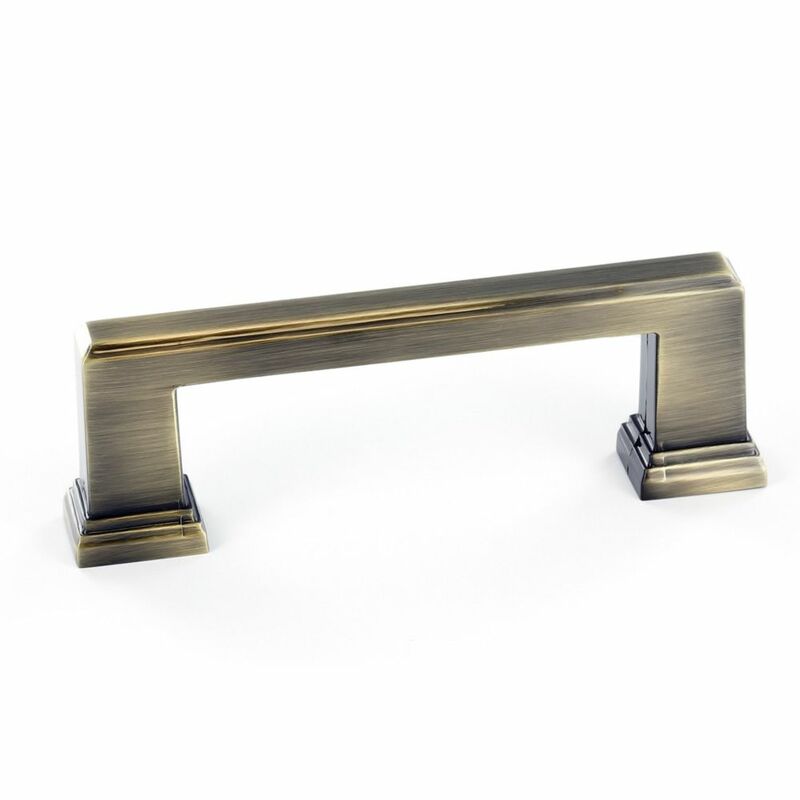 The clean and smooth lines of the 3-3/4 inch Lindley pull from Liberty will match back to any casual or rustic décor. The flat black finish adds a timeless feel that is contemporary and sleek. Give your cabinets an upgrade with the simple installation of the Lindley pull. Transitional Metal Pull 3 3/4 in (96 mm) CtoC - Antique English - Mirabel Collection Modernize your kitchen and bathroom dicor with this transitional Richelieu pull. Its simple rectangular design is enhanced with ornamental detailing on the square base to provide a stylish look.